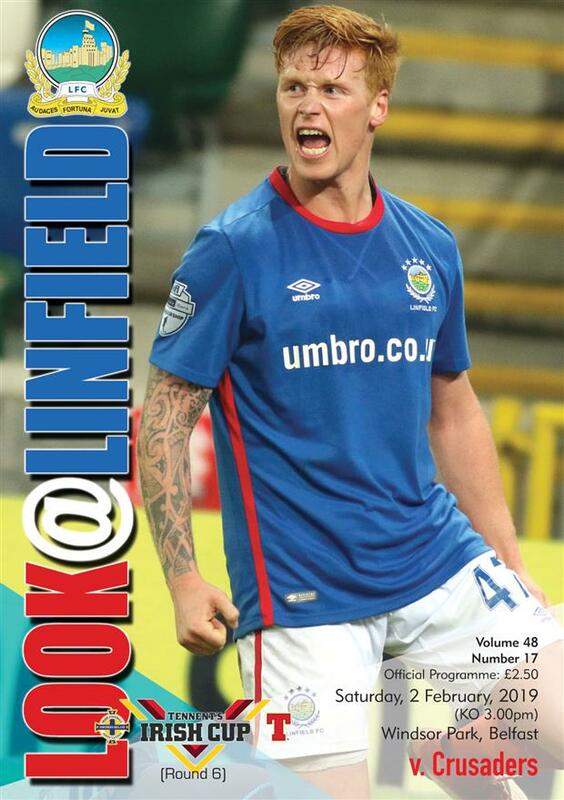 Don’t miss your copy of ‘Look at Linfield’ at Saturday’s Windsor Park game against Crusaders. Jamie Megarry’s interview with Gareth Deane. Hero from the past article features Alan Dornan. Photos from the recent game against Glentoran. ‘Look at Linfield’ costs £2.50 and back issues of previous issues this season against Waterford, Institute, Ards, Dungannon, Ballymena, Newry, Glentoran, Warrenpoint, Coleraine, Cliftonville, Crusaders, Glenavon, Glentoran, Ballyclare, Warrenpoint and Glentoran are available from the Superstore. Copies of the UEFA women’s champions league tournament brochure and the Linfield diary are also available in the Superstore.